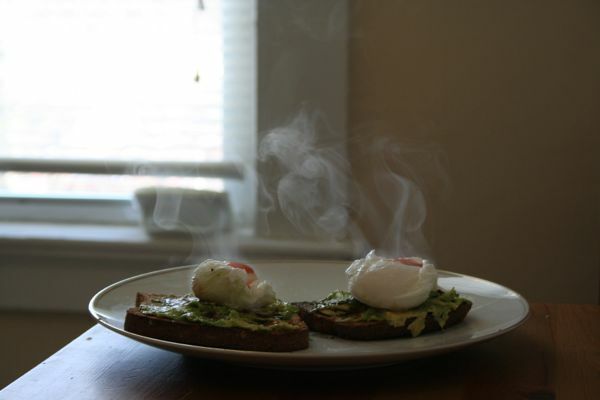 Avocado, Poached Eggs and Toast! Welcome to my favorite new breakfast/lunch/post work-out/mid-day snack. 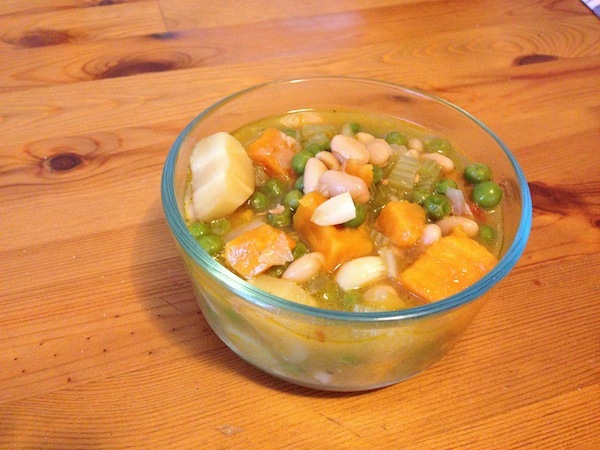 It’s delicious, hearty and packed with protein. When I am at work and can’t cook eggs, the toast and avocado is a nice replacement. Enjoy! 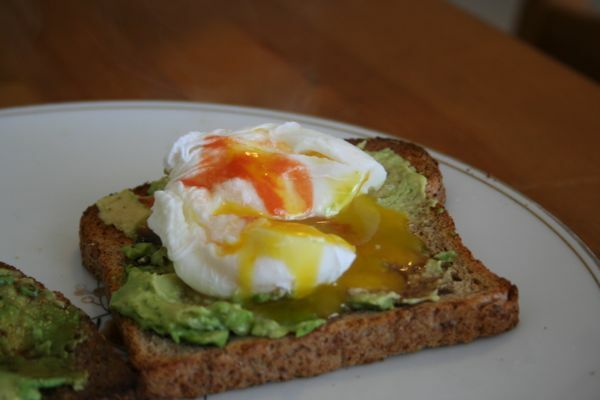 To prepare the poached eggs, bring a pot of water to a boil and add a teaspoon of white vinegar. Crack the eggs into a small bowl. When water comes to a slow boil, create an eddy by swirling the water around with a spoon. Drop the eggs into the center of a pot and time 3 minutes. In the meantime, toast the bread. Spread each side with avocado and drizzle with balsamic vinegar and olive oil. When the eggs are done, pull them out of the water with a slotted spoon and drain off the excess water. Place one egg on each slice of toast. If desired, top with salt and pepper with hot sauce. St. Patrick’s Day is here again! 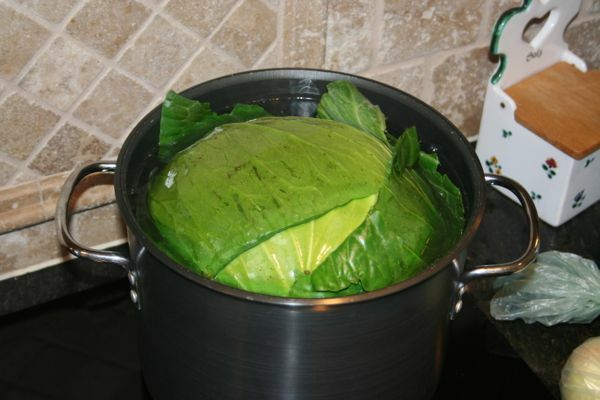 I usually do cook a corned beef and cabbage, boiled together in a pot with red potatoes. I’m not Irish, but it is a fun and delicious tradition. This year, however, I decided to branch out. This very special recipe is actually one of my grandma’s. She helped me put it together and document every step in her beautiful and amazing kitchen. I am so lucky to have her to teach me these things and be patient while I photograph her rolling up cabbage about 50 times. 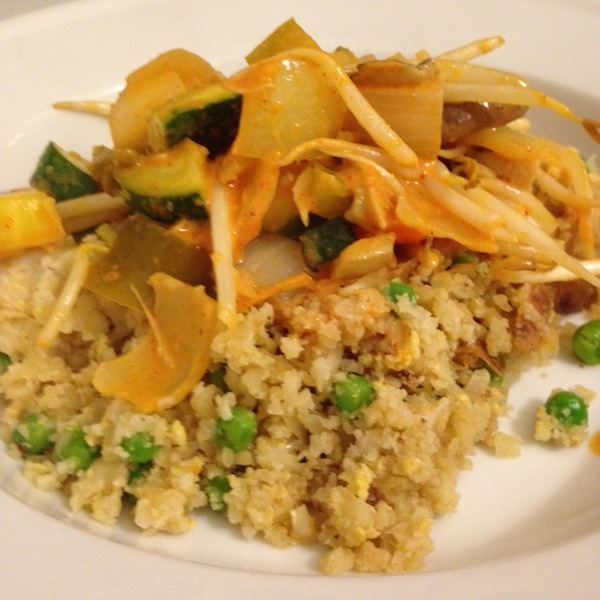 This meal takes some time to come together, but its a fun one and definitely worth the elbow grease when you sit down to enjoy it. I think the secret is the subtlety sweet and sour bite of the tomato sauce. People will ask you what you put in here, your call whether you tell them or not. Of course, no meal is complete without a fine music pairing. Check out Now Streaming’s latest Beats and Eats post featuring this dish for soundtrack and drink suggestions to make the meal complete. First, get your cabbage cooking. Fill a large pot with water and bring to a boil. Score the cabbage around the stalk which will make it easier to remove the leaves later. 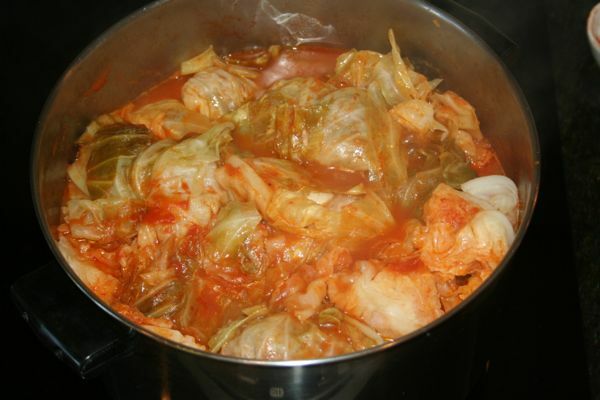 Place the cabbage in boiling water and cook until soft, about 30-40 minutes. 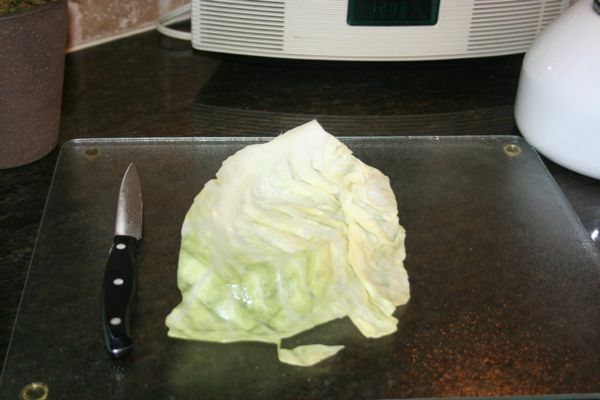 Rotate the cabbage a few times while cooking so that all sides are softened. 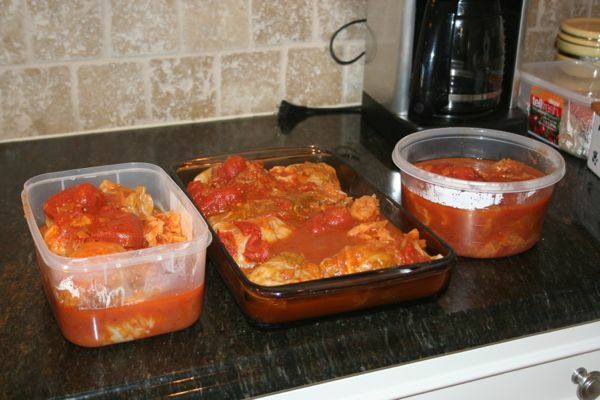 While that is cooking you can prepare a quick tomato sauce. Heat about ¼ inch of olive oil in a saucepan and brown your onions for 5-7 minutes. 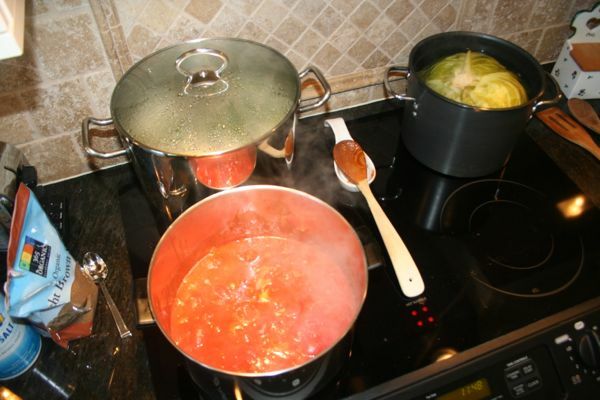 Add both cans of tomatoes and bring to a simmer on medium heat. Once the sauce is warm and simmering, add the lemon juice, brown sugar, garlic, salt and pepper. 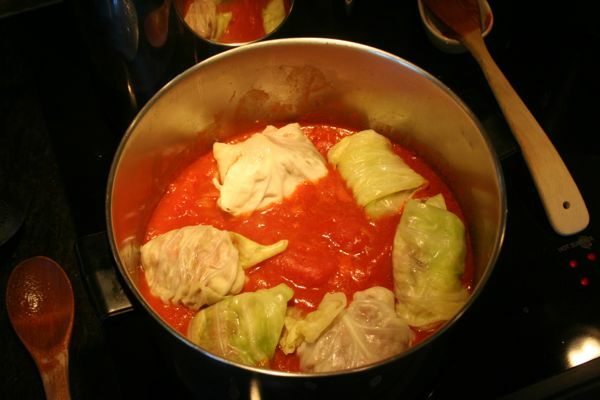 This makes for a slightly sweet and tangy sauce that goes perfectly with the cabbage! Cover sauce and keep it cooking on low heat while you prep everything else. 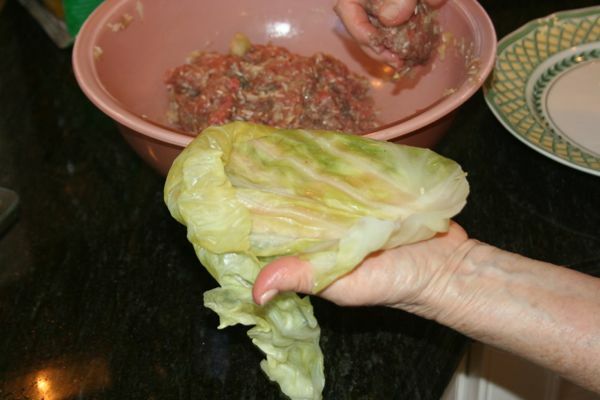 Next, mix the stuffing for your cabbage rolls. In a large bowl, combine grated onion, salt and pepper, egg, and garlic. If using meat add that in now. For some extra goodness grate in any veggies you have in the house! Add uncooked rice and mix together with you hands. 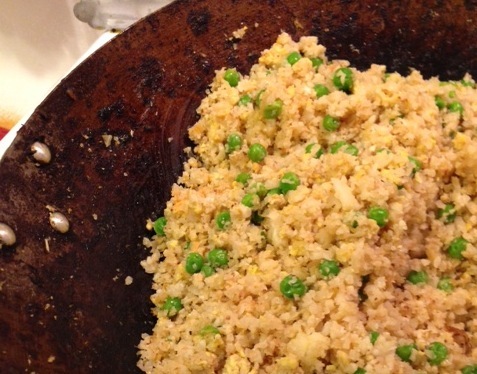 Everything should be well mixed but only work the stuffing as much as you have to or it will become dense. 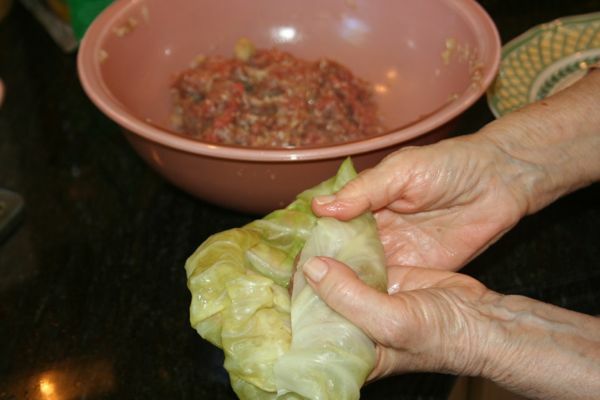 The final step is stuffing the cabbage leaves. 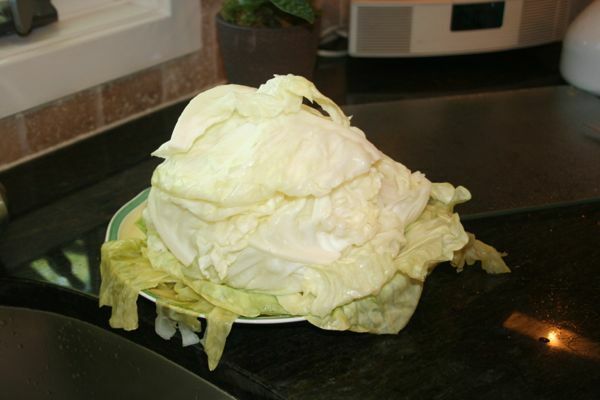 Remove the cabbage from the pot and let it cool slightly. However, the leaves are most pliable when they are warm so don’t let them cool too much. If they get stiff you can always soak them in the hot water a bit more. Peel off the leaves one by one. If they are very big, trim them or cut them in half. Put a little stuffing on the bottom edge of the leaf (where it attaches to the stalk). 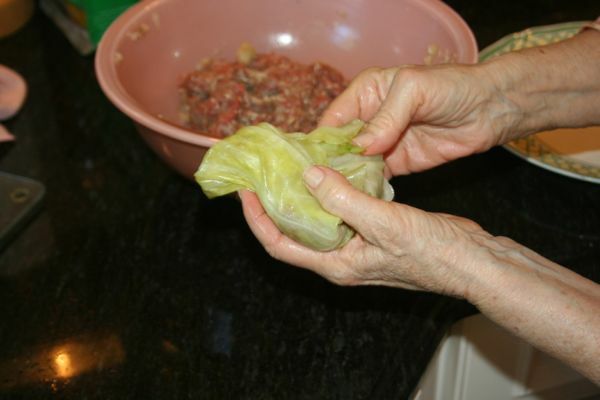 Carefully fold the leaf around the stuffing by folding in both sides and then rolling it tight from the bottom on. Then place the role into the tomato sauce to simmer. You can layer them onto of each other and fill the pot. The sauce will cook up around them. When all the rolls are added, make sure the sauce is simmering. Cover and boil for an additional hour. 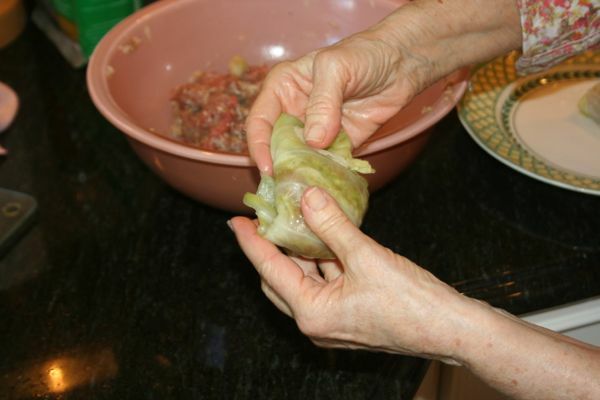 If you have extra cabbage left, dice it up and throw that in the sauce too. 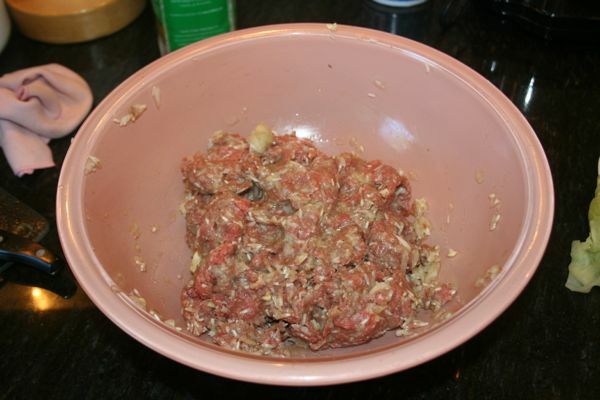 If you have extra meat mixture, roll into little meatballs add those also. This dish freezes and reheats well so make extra. Enjoy and happy St. Patty’s Day!